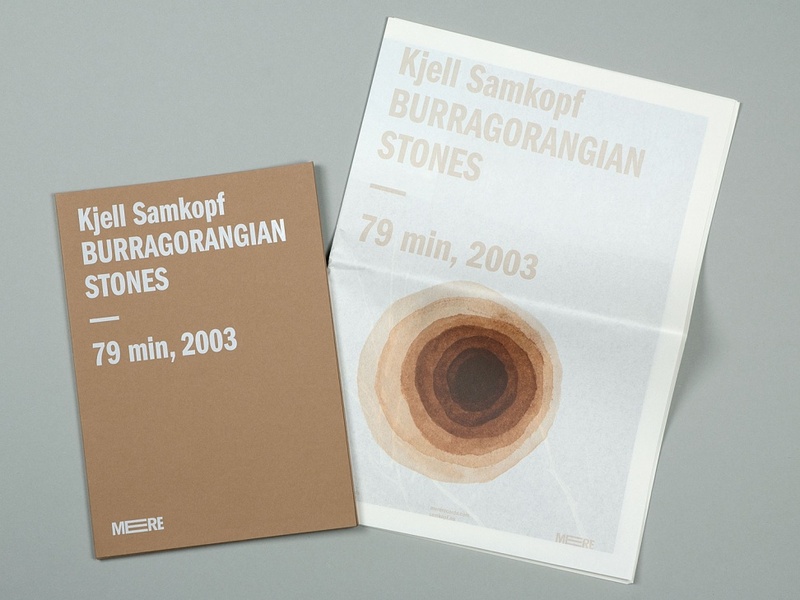 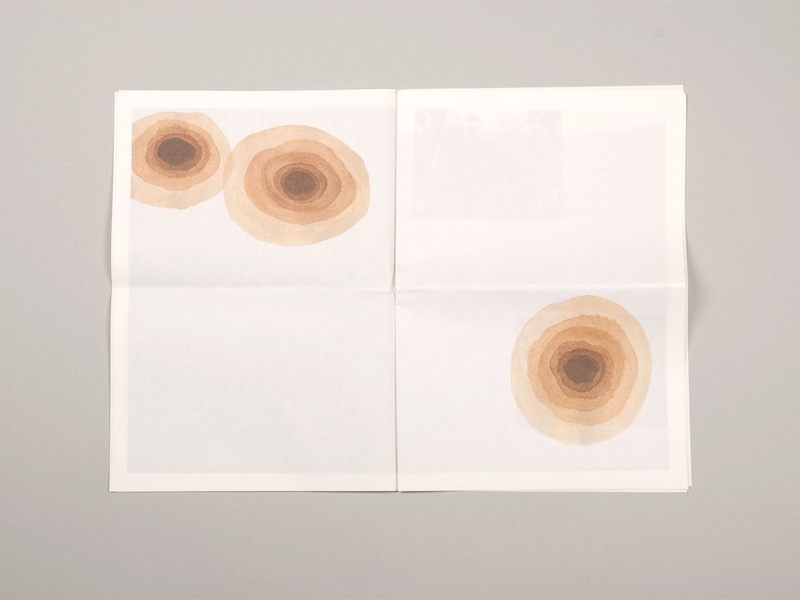 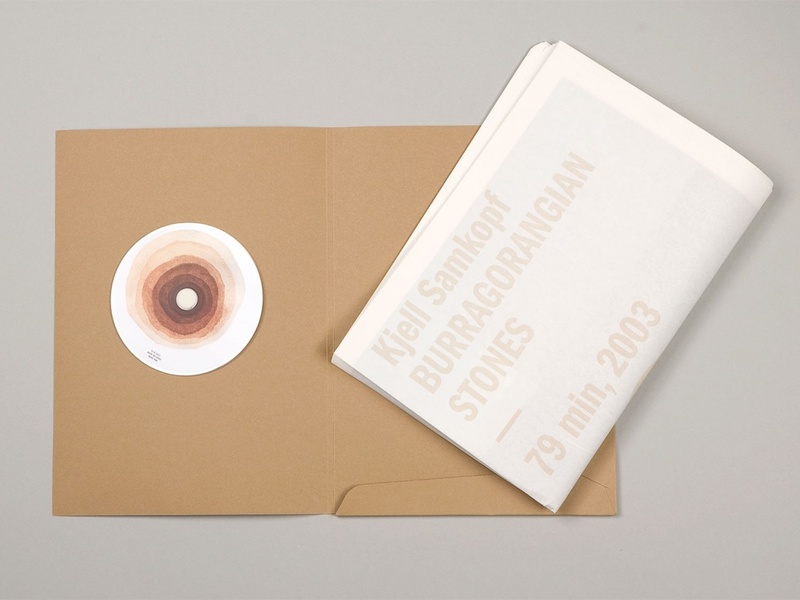 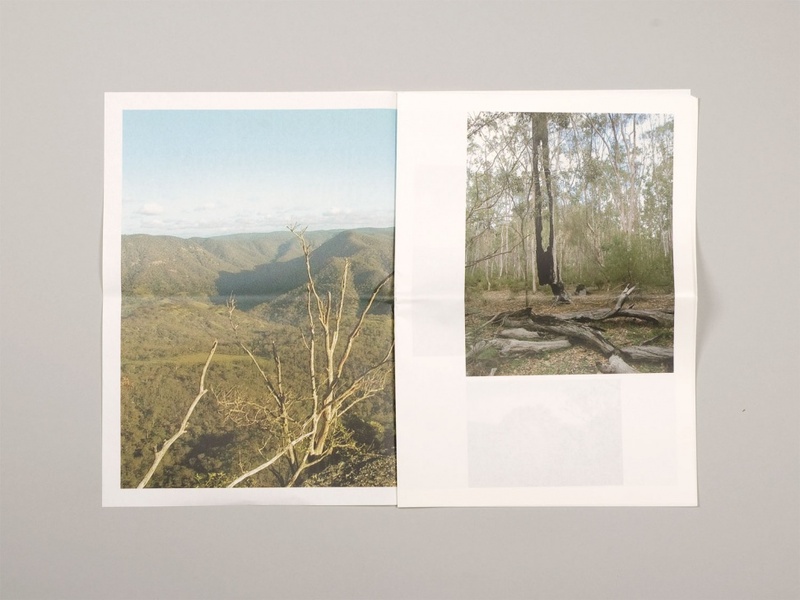 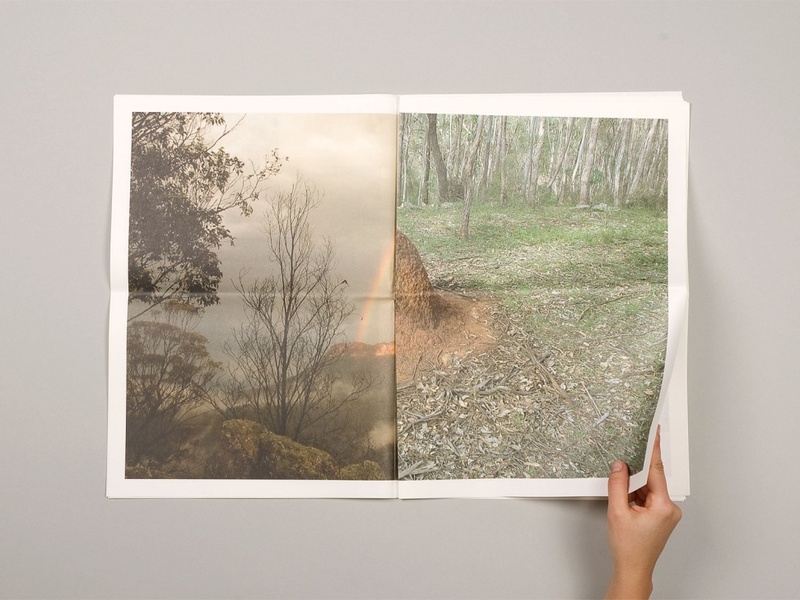 This ‘sono-graphic’ work by Kjell Samkopf consists of his recordings of the Burragorangian landscape. 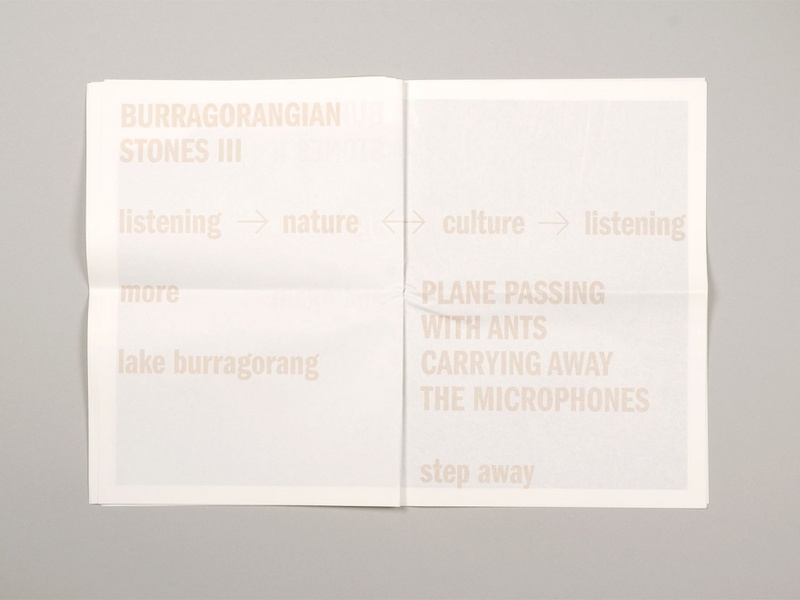 It reflects the natural variations in the soundscape of the environment, atmospheric sounds and sounds produced by the composer. 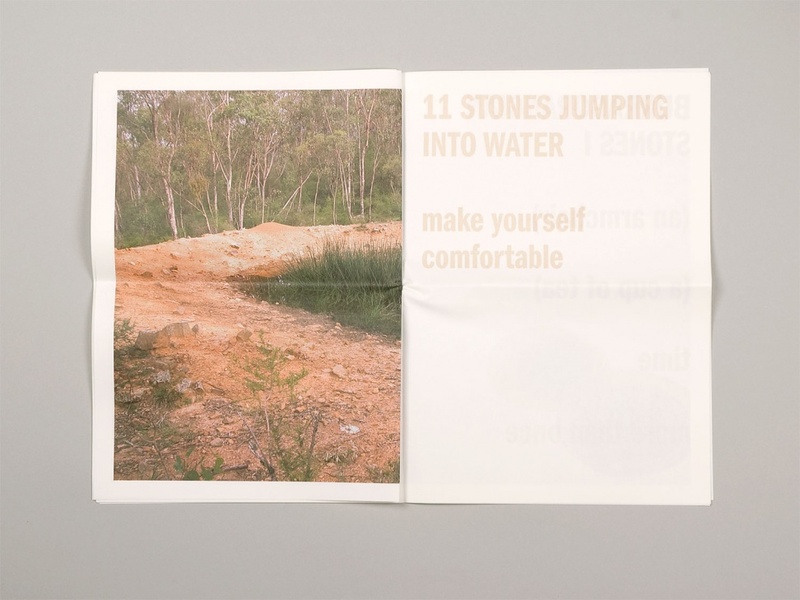 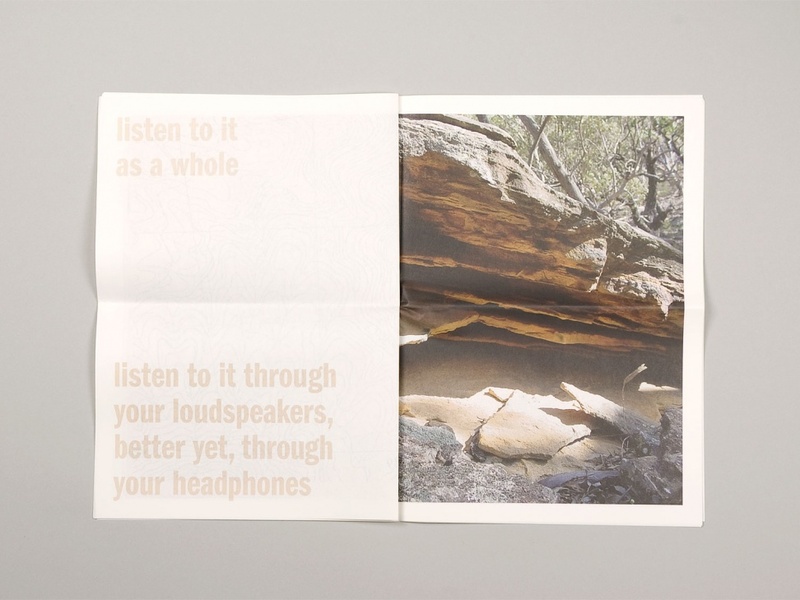 We were asked to create an accompanying publication ‘to keep the listener from reading a newspaper’. 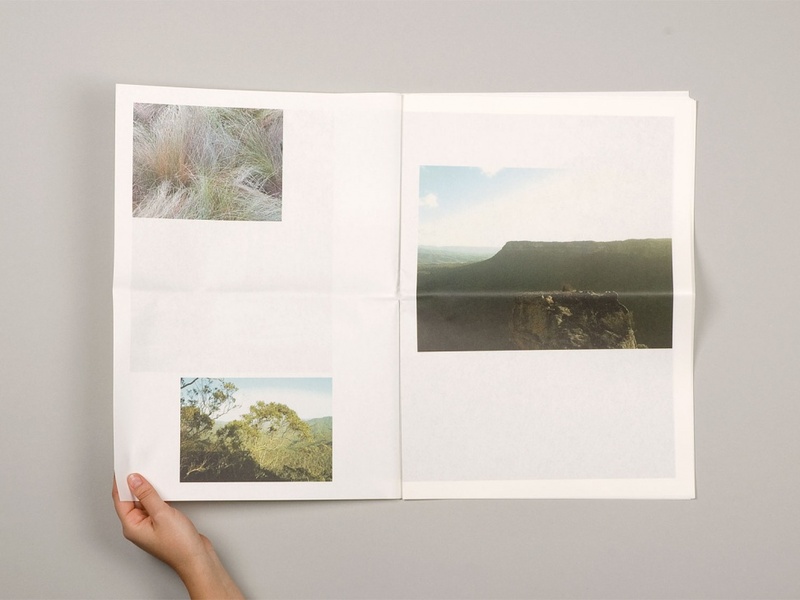 Our solution was to create a publication in the format of a newspaper with imagery and a variety of research materials from the area, from the recordings, as well as a series of paintings selected by the composer.